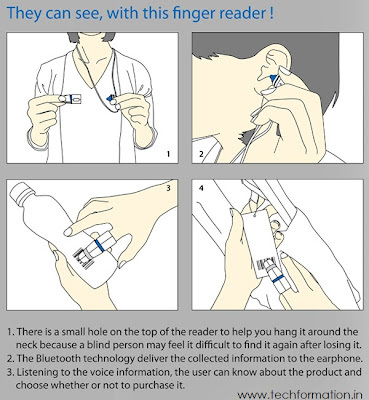 Finger Reader Allows you read with your Finger! Finger Reader is very beneficial aid for blind people. 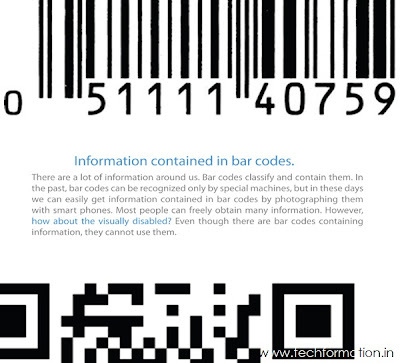 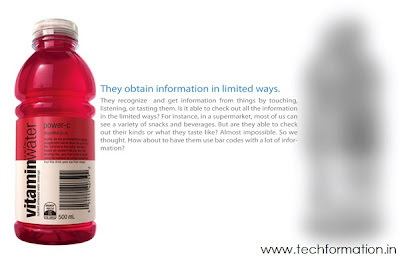 It lets you to know about the specifications of the products you purchase which have bar code. 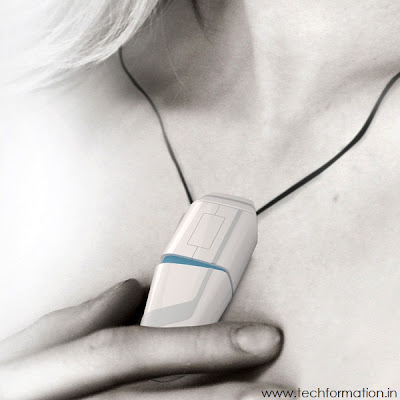 Finger Reader is the set of a finger cap device and a Bluetooth headset. 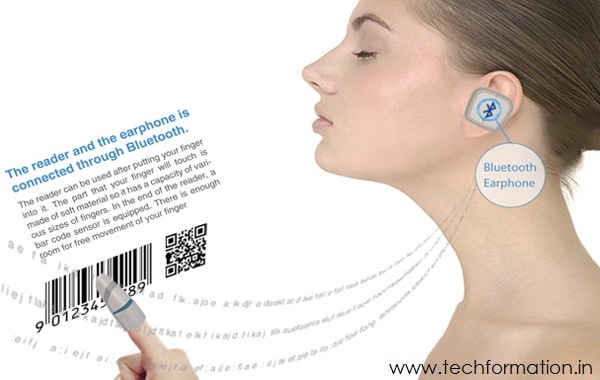 When the finger device is placed on the bar code of any product, its price, specifications and reviews will be revealed and can be listened through the Bluetooth headset. 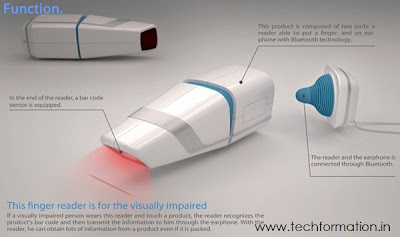 Finger Reader is an entry in Spark Awards 2011.